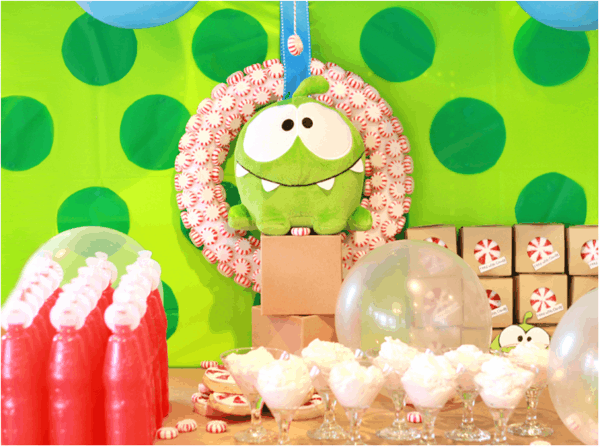 This clever OM NOM MONSTER 1ST BIRTHDAY PARTY was submitted by Laura Harper of My Pookie Designs. 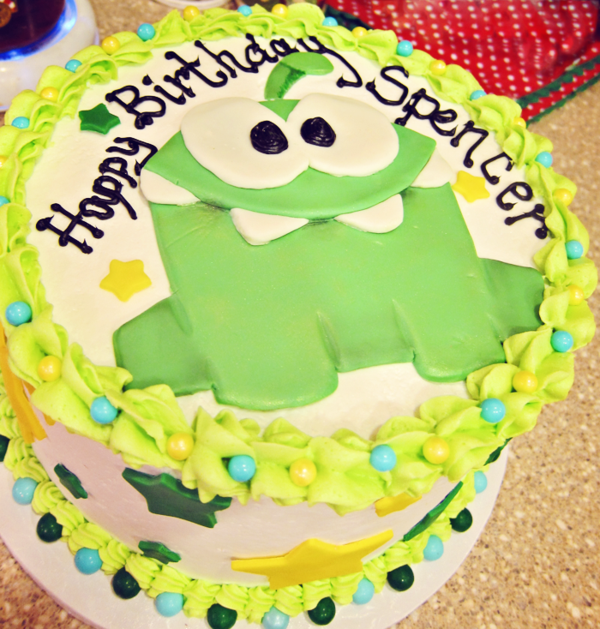 Any child who loves the game, ‘Cut the Rope’ would adore this party! So cute! 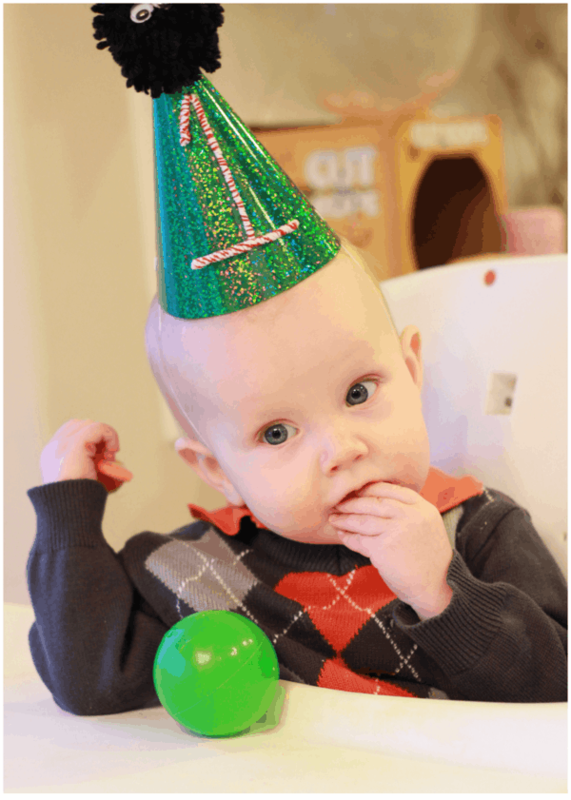 “As I was thinking about what theme to do for my son’s 1st birthday party, I had already been thinking a monster theme. Then I thought of things about my little guy and the fact that he eats a lot came to mind, we call him our little om nom. 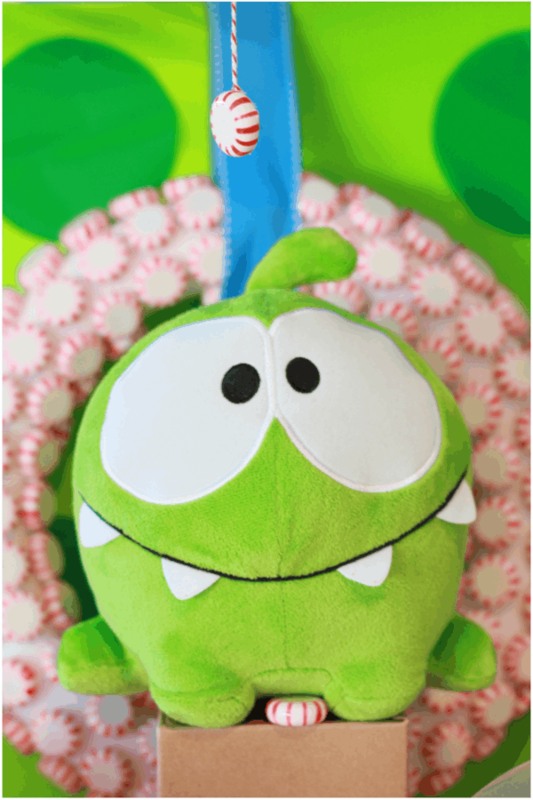 Instantly I thought of the cute little green monster named Om Nom from the App game Cut the Rope and fell in love with the idea! 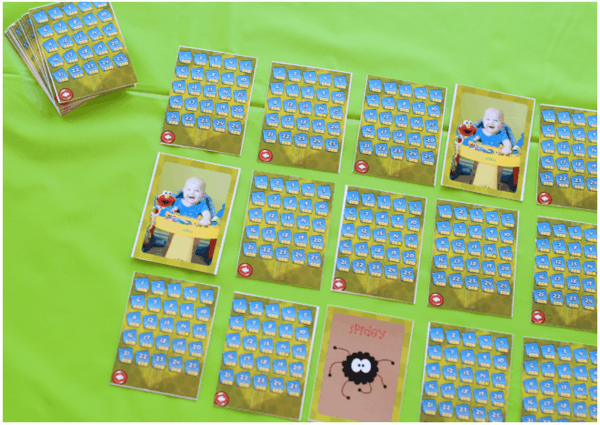 The color scheme went right along with the game- green, blue, cardboard and peppermint :) Peppermint candies were easy to do around Christmastime! 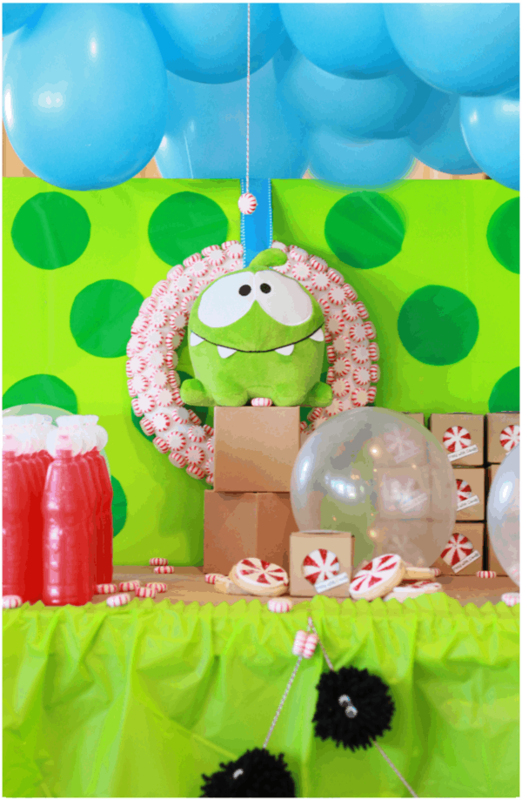 Besides peppermints, the decor consisted of green polkadot background, cardboard boxes as stands, black yarn pompom Spider garland, and of course a cute plush Om Nom monster. Since om nom refers to eating, we did a dinner and had a Pizza Bar. Simple, quick and delicious! 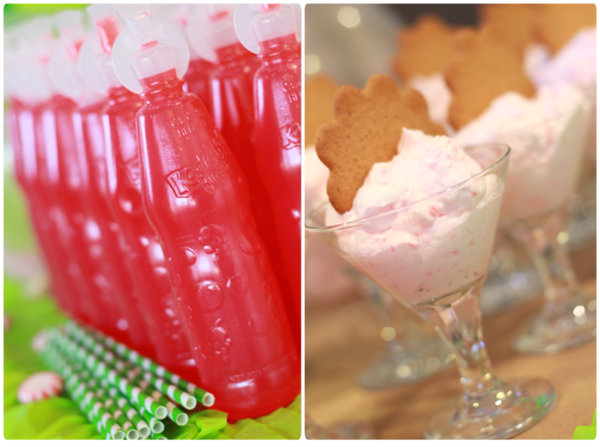 The treats were few including: Om Nom cake, peppermint sugar cookies, peppermint swirl cookies (which were used for one of the games), Peppermint whipped dip with ginger thins, red Squeeze-it drinks and peppermint candies. 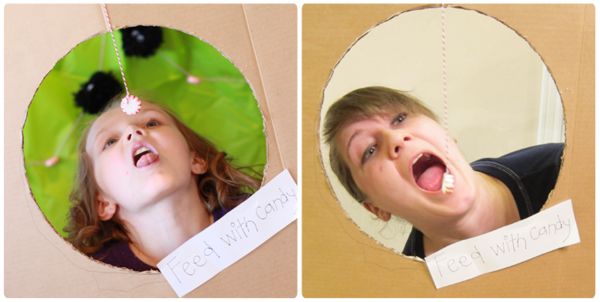 For the games we played: Cookie hang (like the donut hang), balloon bottom pop (with a twist-teams had to pop balloons and get 3 stars inside to win), Matching game with my lil guy’s pictures (another twist with a few cards with picture of the Spidey in game- if they turned it over they lost a turn) and a peppermint spin contest. I love monsters and this party looks adorable. How about that birthday boy, too sweet!